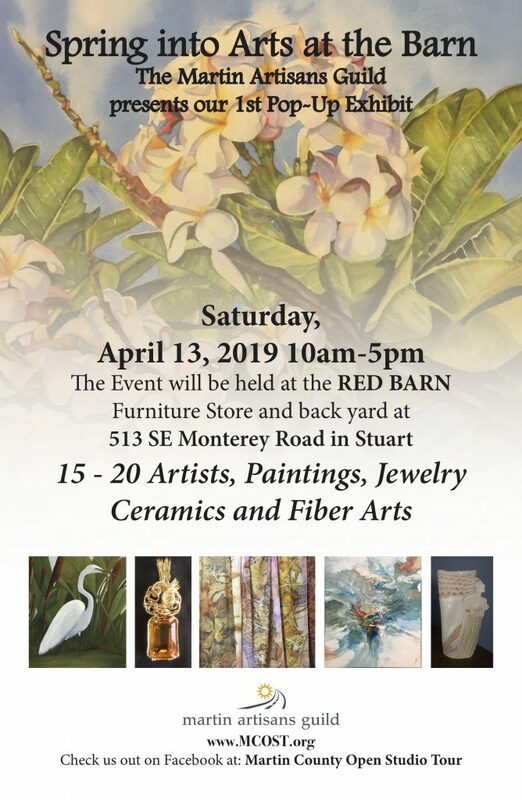 The Martin Artisans Guild presents “Spring Into Arts At The Barn”. 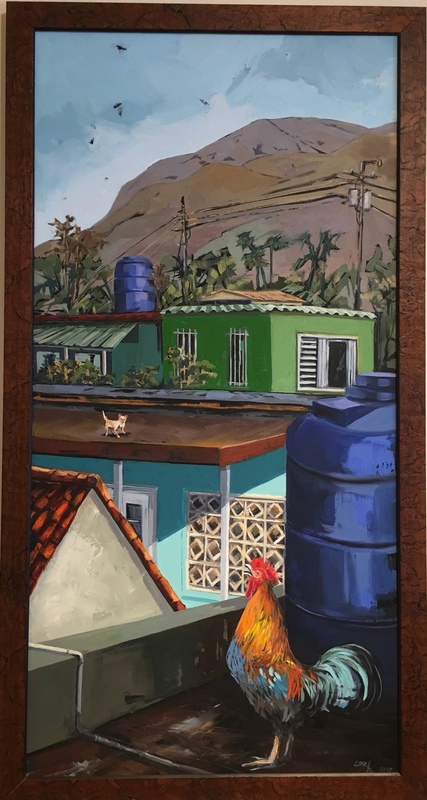 This Pop-up exhibit will be held at the Red Barn Furniture Store and Gallery in Stuart on Saturday, April 13. Twenty artists will showcase and sell their paintings, jewelry, ceramics, and fiber arts. There is plenty of free parking and admission is free. The Rickie Report shares the details here. Experience a new kind of art reception at the Brewhouse Gallery on Friday, April 12! “Live painting” will take on a new meaning, as you can paint on a live model or just watch the resident artists paint their own canvases. Limited tickets are available to paint part of the live model and proceeds will benefit Kelsey Cares. All other artwork will be for sale. 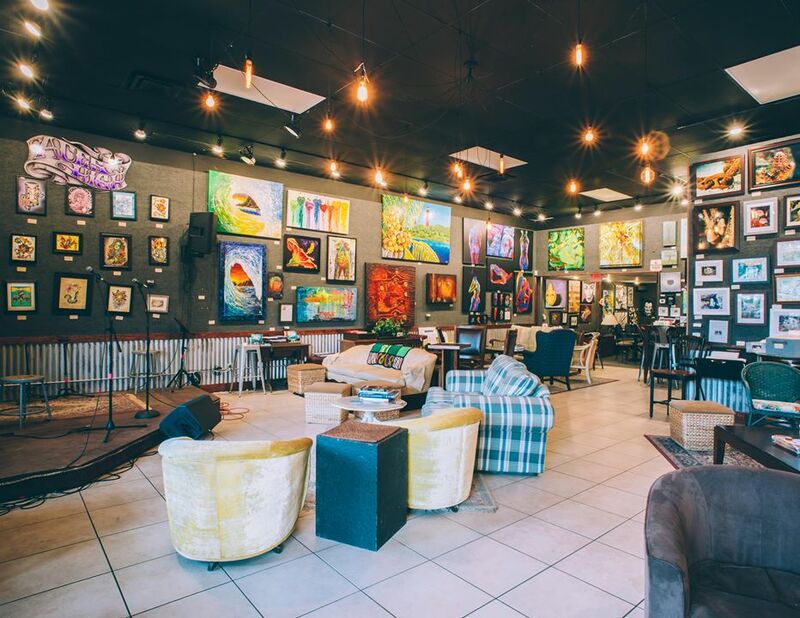 Enjoy refreshments and live music during a unique art event in Lake Park, FL. The Rickie Report shares the details and some sneak peeks. Music will be provided by Big Lux: Hip hop Violin! Fabulous Art Opening by our resident artists! All art for sale! The Brewhouse Gallery is a community art gallery and craft beer oasis! It offers some of the most limited craft beers, a full wine list, homemade sangria and catered food nightly. It’s a creative space to share ideas & get inspired. 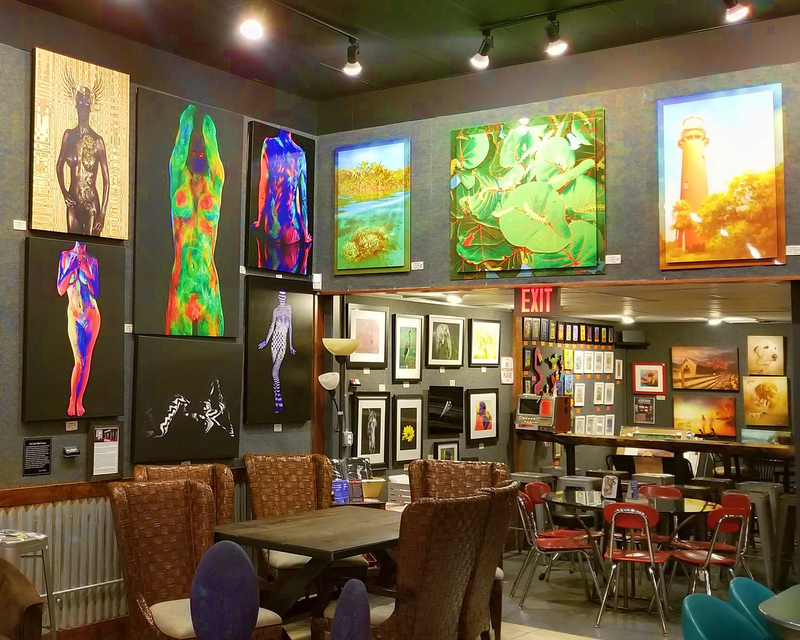 Established in 2014, The Brewhouse Gallery is the brainchild of accomplished Palm Beach Gardens artist AJ Brockman. 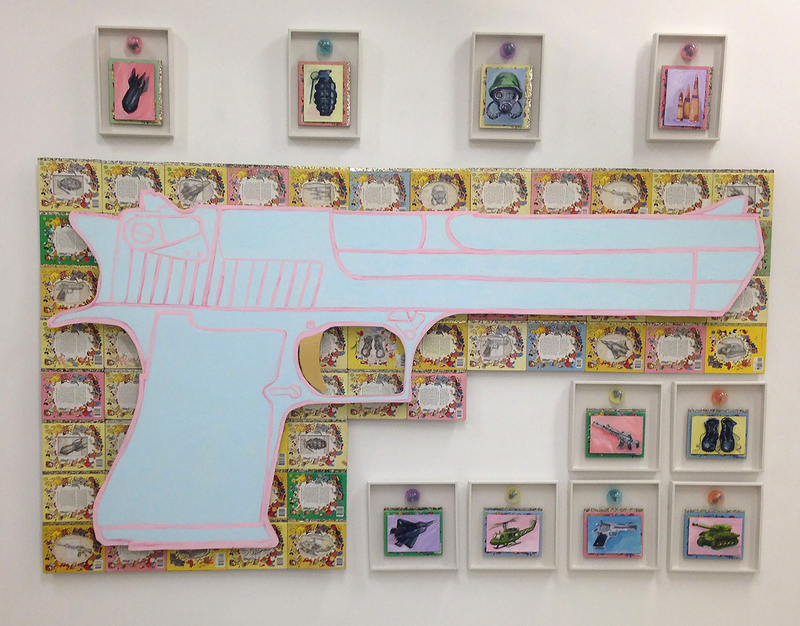 He wanted to reinvent the art gallery model after experiencing firsthand what it’s like to make a living as an artist. Artwork by Anthony Burks Sr.
Join us, Friday, April 12 from 6 PM to 8:30 PM as we showcase some of our current artists with a very unique event. Many of them will be painting live including Anthony Burks Sr, Kat Janis, Kevin Goff, Leo J. Arbeznik and more! Live painting! If you ever wanted to try painting a “live” canvas….this is your opportunity! Buy a ticket for $20 and choose a number out of the bag to find out which square on our beautiful model you will be painting! Create a masterpiece! Limited tickets are available! A percentage of the proceeds will benefit Kelsey Cares! The model will have modesty tags on her body and wear a thong. Wine, hors d’oeuvres, and live music also provided. Come out and meet the talent behind your favorite pieces! The artists will be here to share their stories and techniques. Plus, negotiate with them on that masterpiece you have been checking out! 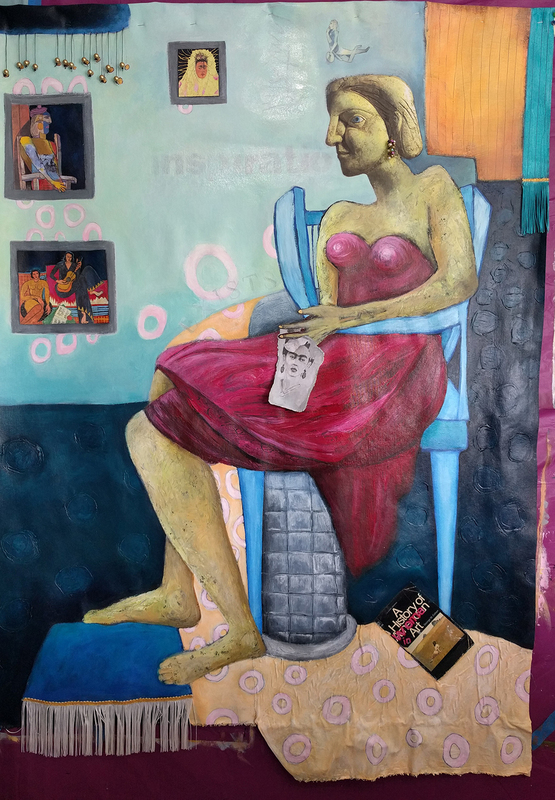 The National Association of Women Artists, Florida Chapter invites the public to “The Influence of Frida Kahlo on Contemporary Art”. The exhibition includes artworks of NAWAFL artists, as they used elements of Kahlo’s work to inspire their own. 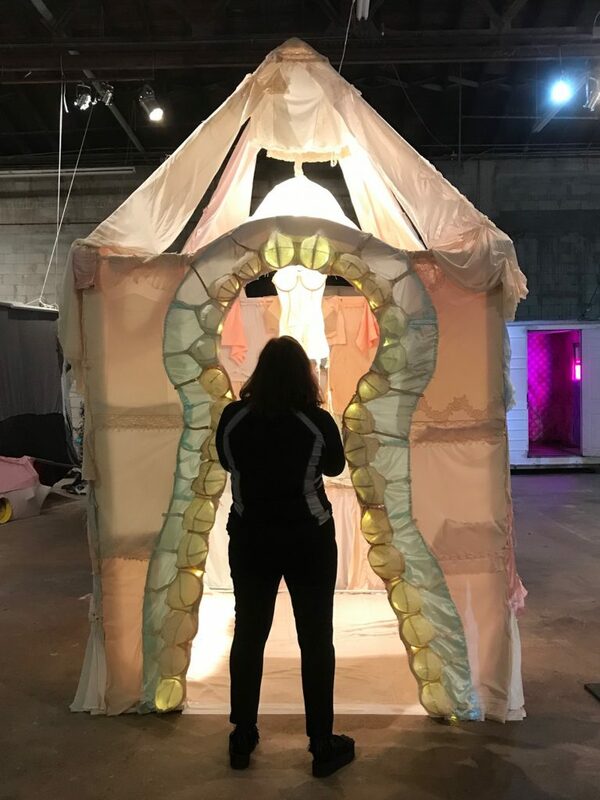 The Opening Reception takes place on Friday, April 12 in the Sallie & Berton Korman Gallery at the Center for Creative Education. The Rickie Report shares the details and some sneak peeks. Frida Kahlo’s artistic depiction of her reality was forged through her pain. She had been crippled by polio at a very early age which severely stunted her right leg. Later, while studying Medicine (at 18 years old), she was involved in and survived a horrific accident that resulted in smashing her legs (her right one had to be amputated), as well as breaking her back and receiving multiple internal injuries. 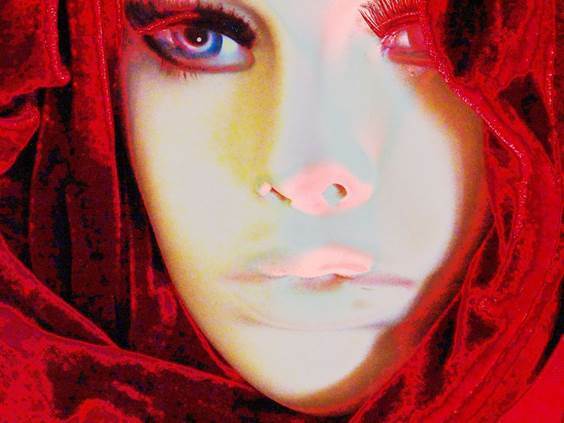 Yet she persevered and found her new direction, in life, through her art. She lived her life unapologetic. She never pretended to be something other than who she was. She embraced her Mexican Heritage, she spoke her mind when it came to politics or matters of the heart. And she painted through her pain. It is her warrior spirit that resonates with so many women and artists today. Come to the final Makers Marketplace of the season on Sunday, April 7, to celebrate The Springtide Festival. The Jaffe Center For Book Arts at FAU’s Boca campus offers free admission and free parking. 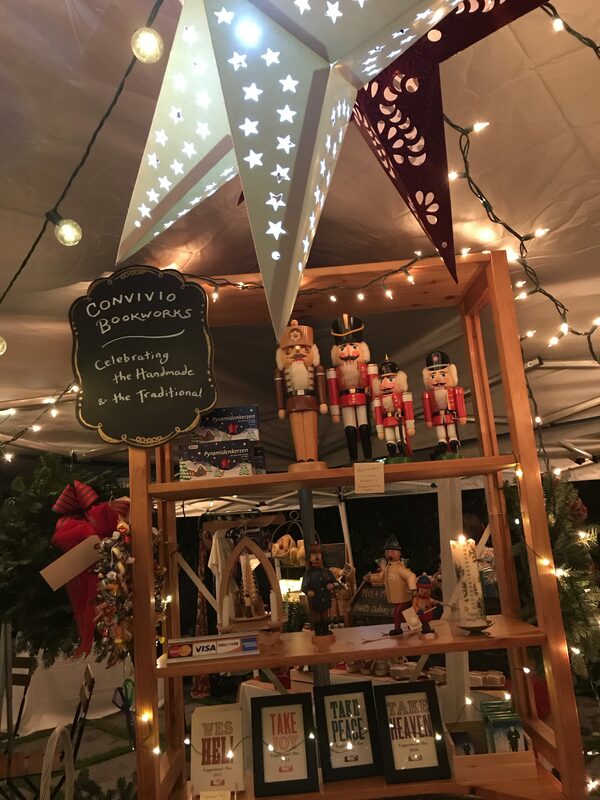 Local makers and small boutiques will sell their creations while you enjoy the music from Rio Peterson bringing your favorite tunes from Beatles to New Order and the Smiths, followed by the big bluegrass sound of the Lubben Brothers. The Rickie Report highlights the makers and shares the details here. Free Admission! Free easy parking! We’re closing the Makers Marketplace season with a bang, gathering your favorite local vendors and small boutiques, focusing on springtime, and bringing you some pretty awesome local music––first half: the powerhouse that is RIO PETERSON, covering all your favorites from the Beatles to New Order and the Smiths, followed by the big glorious bluegrass sound of the LUBBEN BROTHERS. Not to mention the most delicious doughnuts and crafts for young and old that you can make yourself (because we should all be makers). 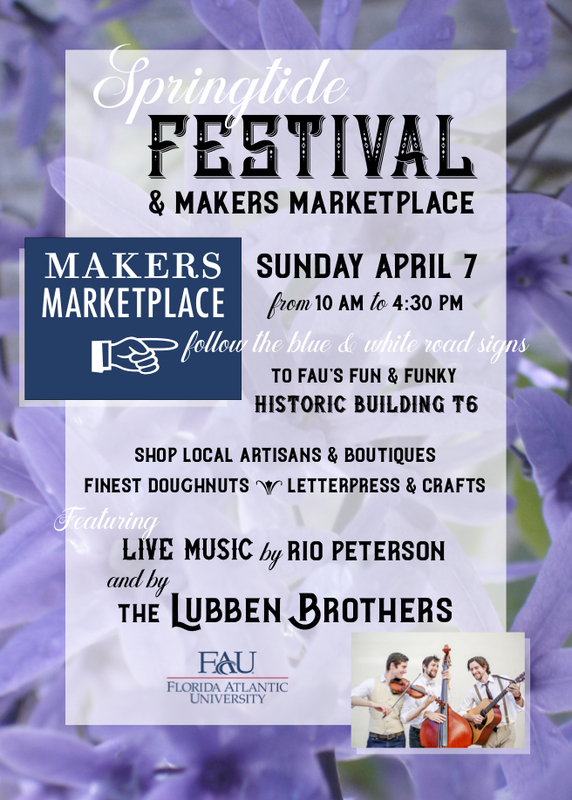 The easiest way to find our venue is to keep your eyes open for the blue and white MAKERS MARKETPLACE signs we’ll have posted on campus roads directing you to the market. Historic T6 and its neighboring companion Building T5 are remnants from the World War II era Boca Raton Army Airfield. The two buildings are easily spotted as they look nothing like the rest of our campus buildings. They both resemble old army barracks buildings with tall brick chimneys rising from the center of each. They are located on FAU’s Boca Raton campus, at the northeast corner, very close to Henderson School and the FAU Football Stadium and directly across the street from the east entrance of Palm Beach State College. We will have directional road signs placed strategically on main campus roads directing you to the place, along with free, close-by parking. From the NEW I-95 interchange and Spanish River Boulevard: The brand new I-95 interchange for Florida Atlantic University (Exit 48A) takes you directly from the interstate to FAU. Once you pass the traffic light at Spanish River Boulevard, you are on the FAU campus on FAU Boulevard. Keep to the left lane and you will see a blue and white MAKERS MARKETPLACE sign directing you to make a soft left onto NW 8th Avenue. Our venue at historic Building T6 will come up soon after. Should you miss the soft left onto NW 8th Avenue, stay on FAU Boulevard; you will soon see a field on your right and then FAU Stadium. Stay in the left lane, and you’ll see another blue and white MAKERS MARKETPLACE sign directing you to turn left at Palm Beach State College Drive. Turn left again at NW 8th Avenue. Our venue at historic Building T6 will be on the right. From Glades Road: Enter the FAU campus at the main entrance (the one closest to I-95) and you will find yourself on West University Drive. Continue straight. The road will curve eventually and become North University Drive and FAU Stadium will soon be in view. There will be a traffic light just past the stadium. Continue straight, and make a left turn at the stop sign, onto NW 8th Avenue. On your right, across from the entrance to Palm Beach State College, is T6, a long single-story building with a tall brick chimney. This is the place! In Lot 45, which is the parking lot just north of Buildings T5 and T6, just steps away from our venue! Our goal is to help you be the best human you can be. 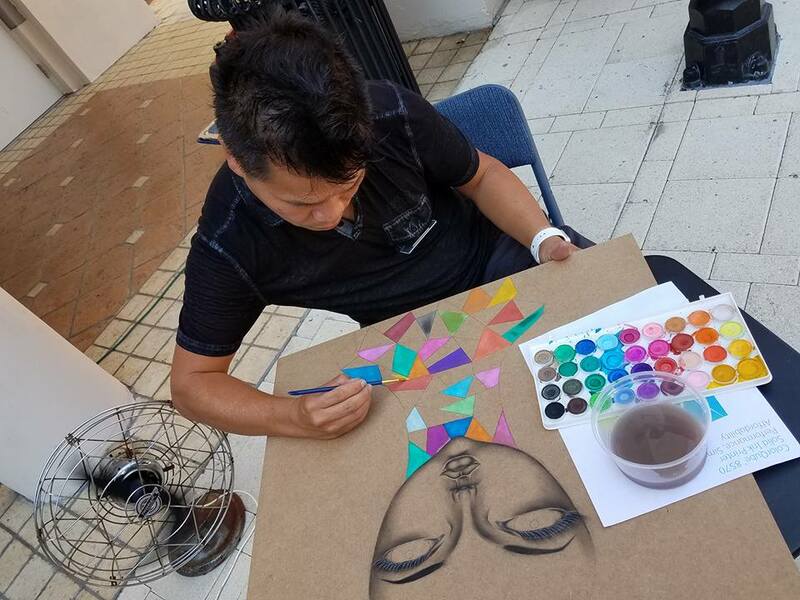 The shopping, entertainment, and dining mecca of CityPlace will transform once more into an outdoor artistic showcase during the 9 Annual Downtown West Palm Beach Art Festival. Rosemary Avenue will be filled with gallery style tents featuring over 100 artists, with all mediums of fine art. The free event, produced by Howard Alan Events, takes place on Saturday, April 6 and Sunday, April 7. The Rickie Report shares the details and some sneak peeks. Residents and visitors are invited to stroll amidst life-size sculptures, spectacular paintings, one-of-a-kind jewels, photography, ceramics and more from the local and national artists who are on site to discuss their inspirations and processes for each hand-made work. The Howard Alan Art Festival is family-friendly and pets on leashes are always welcomed. 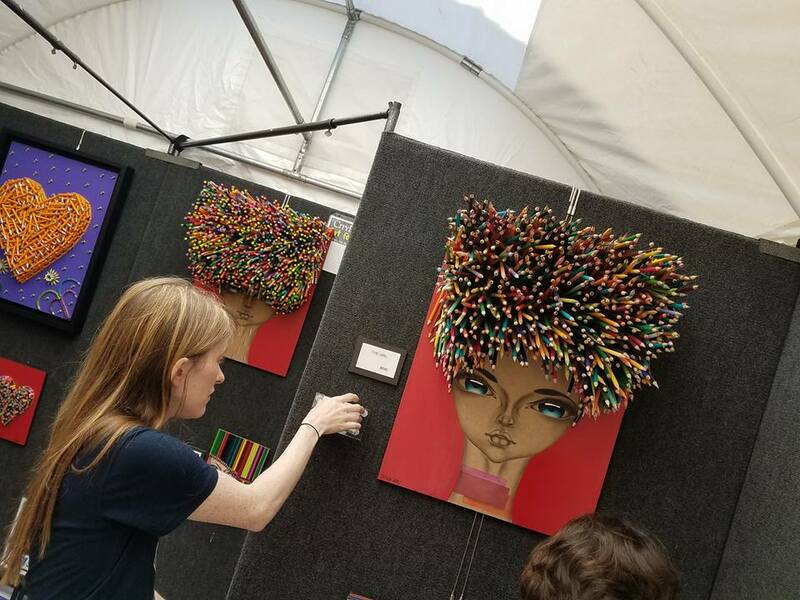 Presented by Howard Alan Events (HAE), producer of the nation’s finest juried art shows, the Howard Alan Art Festival represents original artwork, handmade in America and selected by an independent panel of expert judges from hundreds of applicants. HAE’s careful vetting process also ensures a wide array of mediums and price ranges will be offered during the Festival. 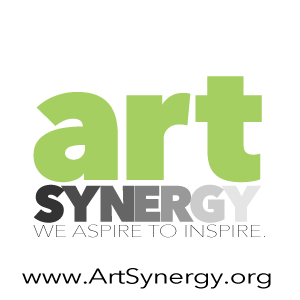 Howard Alan Events, a Florida-based company, produces the nation’s top juried art and craft shows. 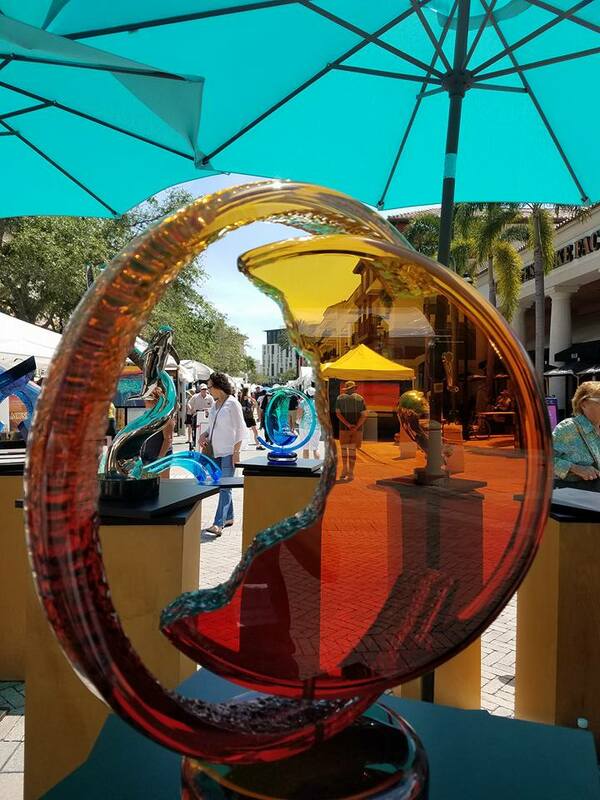 Ranked among the Top 100 Art Fairs in the Country by Sunshine Artist Magazine, the 30+ years-established company has overseen art festivals in such noted cities as Alexandria, VA; Aspen, CO; Sarasota, FL; Fort Lauderdale, FL and 40 other destination markets in the nation. 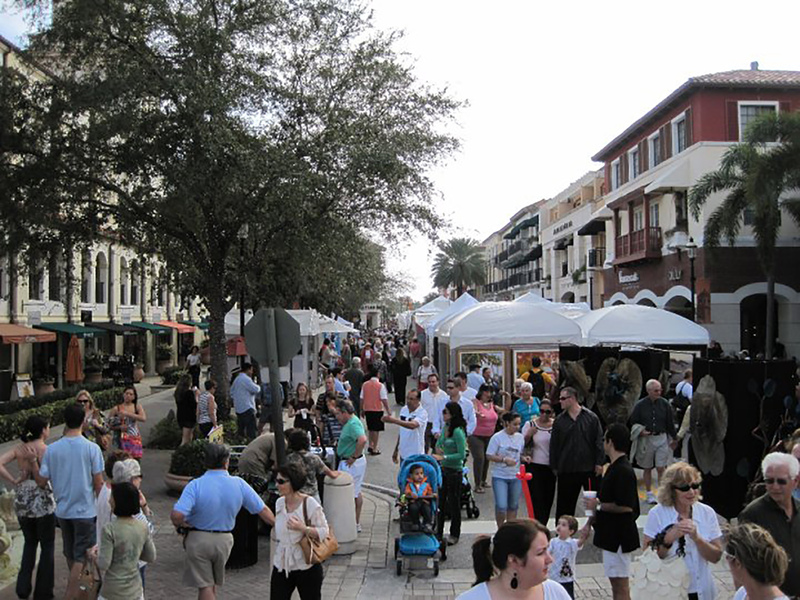 For additional information on the 9th Annual Downtown West Palm Beach Art Festival and other Howard Alan Events art and craft shows across the country, visit www.artfestival.com or call 561-746-6615. 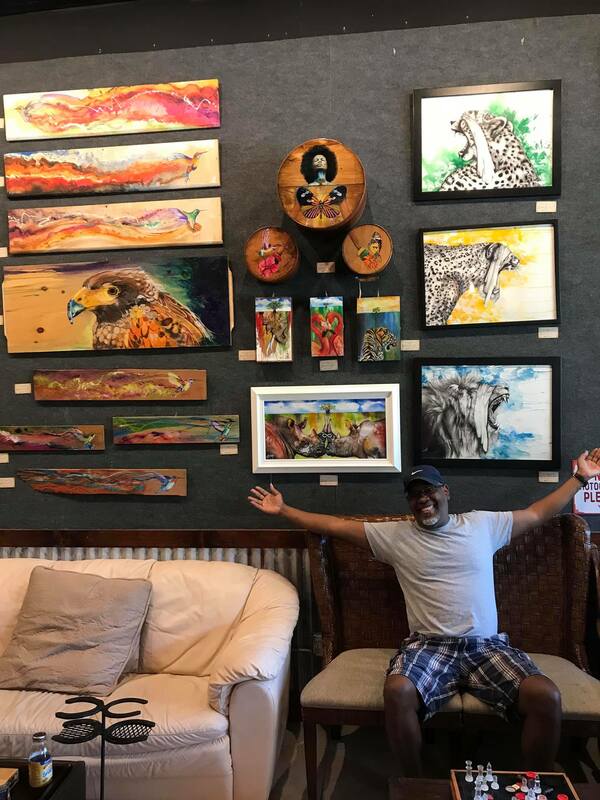 Neil Capozzi at Stuart Art Supply and Artist’s Nook Studio, is ready to celebrate 40 years of the Martin Arts Council support of the arts and cultural scene! This fete is February 1, 2020, so it’s time to prepare by decorating a Venetian mask. Don’t wait – call Neil to reserve a mask! They’re due back by October 1, allowing snowbirds and locals time to explore your creativity! The Rickie Report shares the details and some peeks at some masks that have already been returned! 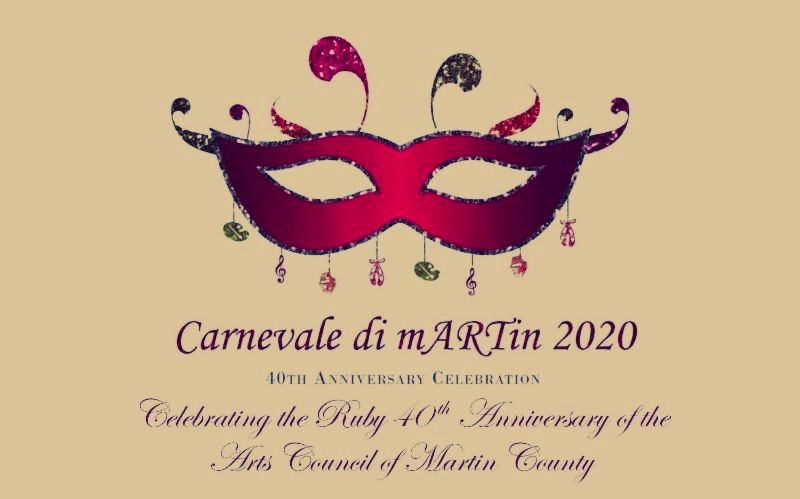 The masks will be auctioned off at the “Carnevale di mARTin – A Masquerade”, with proceeds being used for Arts Councils programs including the development of a new cultural center in Stuart! We can’t wait to see what you create! 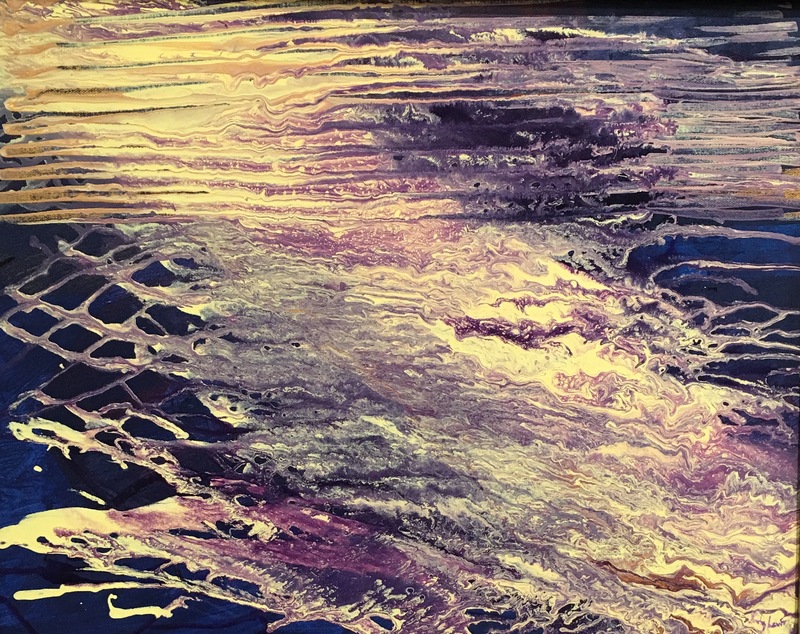 Neil Capozzi tells The Rickie Report, “As you know, the arts are an important part of this community and I strive to be active member in providing a quality experience in art materials, art education and community involvement. I’m offering another opportunity for artists to showcase their talents this year. The Arts Council is having a milestone anniversary in 2020. 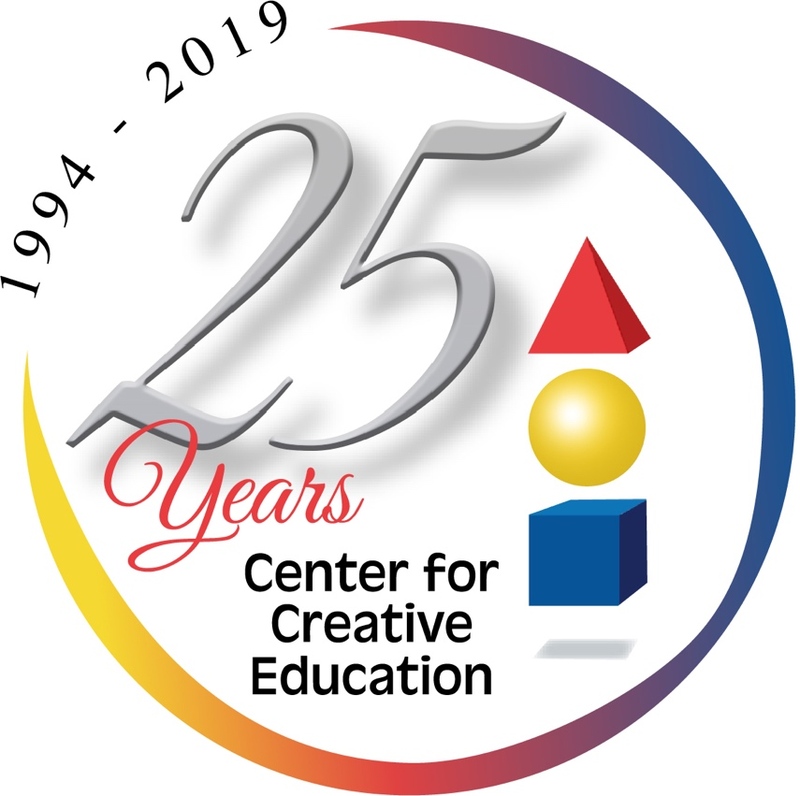 We will be celebrating 40 years of supporting the arts in Martin County. We will be kicking off the year long celebration with a gala. 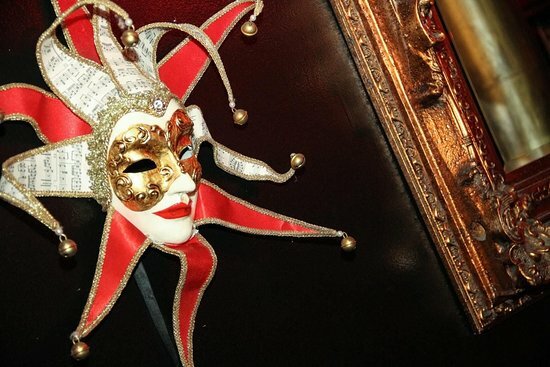 The theme of the gala is “Carnevale di mARTin – A Masquerade”. The gala is Saturday, February 1st 2020. 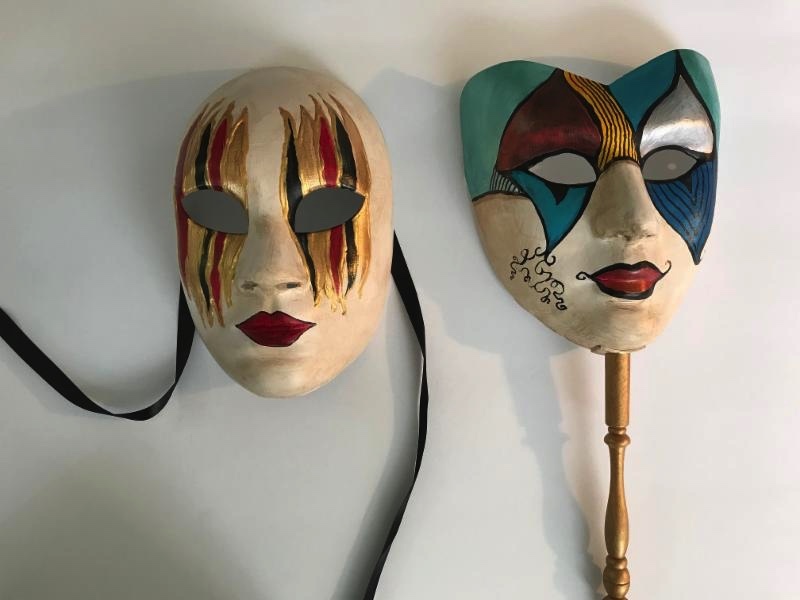 I am asking all artists to participate in this event by painting a Venetian Mask and I will be collecting them and donating them to the Arts Council. Our goal is to sell them to the attendees of the gala. 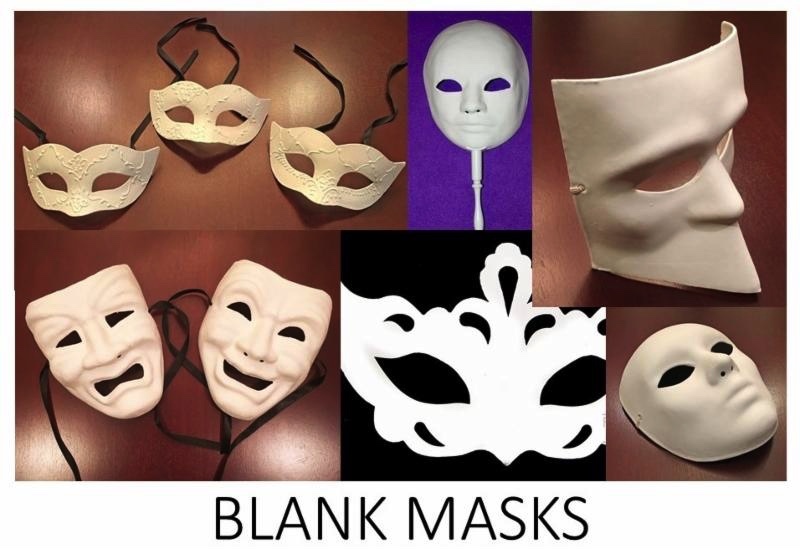 Blank masks are available from Stuart Art Supply for you to explore your creativity”. Our 1st Masks have been completed. Neil explains, “The mask painting project has been well received and I have over 40 out being painted at the moment. Since I need the masks back by October 1 there is still an opportunity for our “snowbirds” to participate. You just need to send them back by October 1st. The sooner I get them back the sooner we can begin promoting the 2020 Gala. The masks can represent the style of the artist or the traditional venetian festival. It’s up to you, the artist”. Venetian masks have a long history of protecting their wearer’s identity. Made for centuries in Venice, these distinctive masks were made out of papier-mache and wildly decorated with fur, fabrics, gem and feathers. 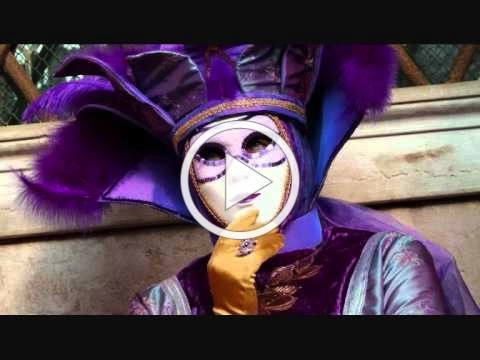 Eventually, Venetian masks emerged as the emblem of Carnevale a pageant and street fair celebrating hedonism. Additionally, the masks served an important social purpose of keeping every citizen on an equal playing field. Masked, a servant could be mistaken for a nobleman—or vice versa. State inquisitors and spies could question citizens without fear of their true identity being discovered and citizens could answer without fear of retribution. The morale of the people was maintained through the use of masks—for with no faces, everyone had voices. Mask wearing became forbidden in 1797, so the venetian masks, along with the carnival masks and masquerade ball masks vanished completely. This continued until the early ’80s, when a group of venetian architecture students began to revive this ancient and long tradition. Since then, the carnival of Venice has turned to be again one of the most important and most beautiful in the world. NOW THAT THE WINTER SEASON IS COMING TO A CLOSE COME IN AND CHECK OUT THE CLEARANCE. WE’LL HAVE ROCK BOTTOM PRICES ON PAPER, CANVAS, BRUSHES, AND PAINTS. 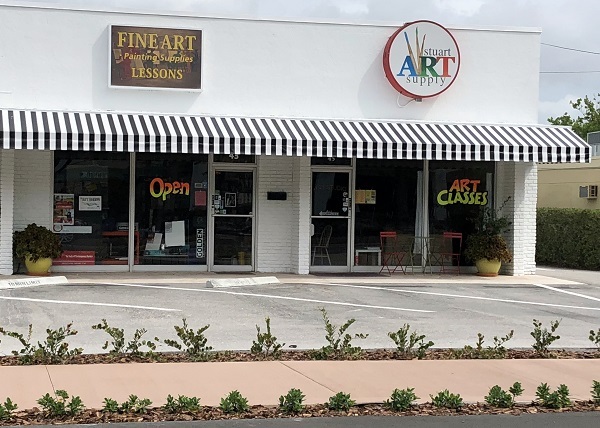 Artisans On The Ave Gallery in Lake Worth not only displays and sells unique art creations, they also offer evening workshops! 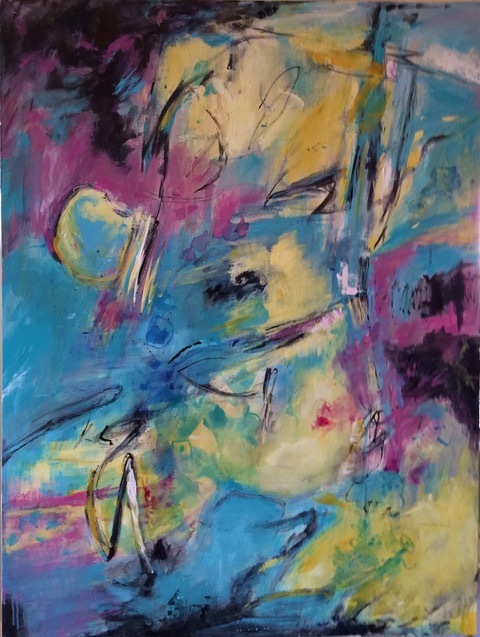 Learn how to Flat Felt with Gin Blische (tonight, March 29 and April 12), Meditate & Paint with Jana Costa (March 30), Learn to Draw with Patricia Lappin ( April 4 and April 18). 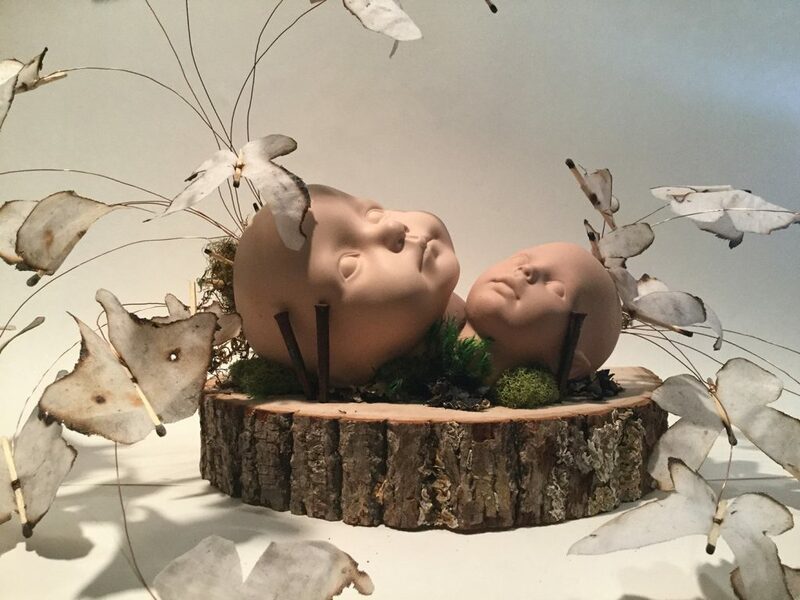 In addition, Amelia Costa will be showing her clay creations on April 6. Please register beforehand for workshops. The Rickie Report shares the details. 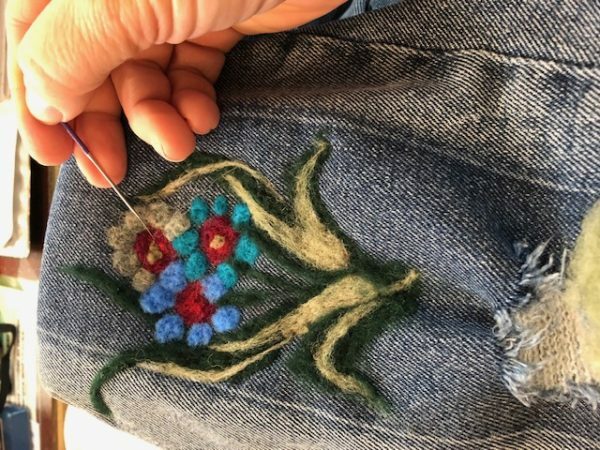 Spend a casual evening of Wool, Wine and Blue Jeans at Artisans on the Ave with Wool Artist Gin Blische. You bring the denim she’ll bring the rest. Create a One Of A Kind design or use one that Gin has designed for you. This method of flat felting can be used to create a multitude of art projects. 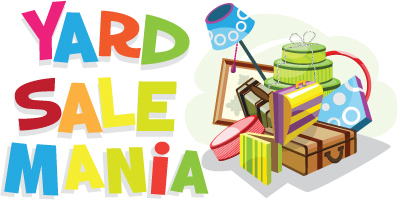 $60.00 includes supplies and refreshments. 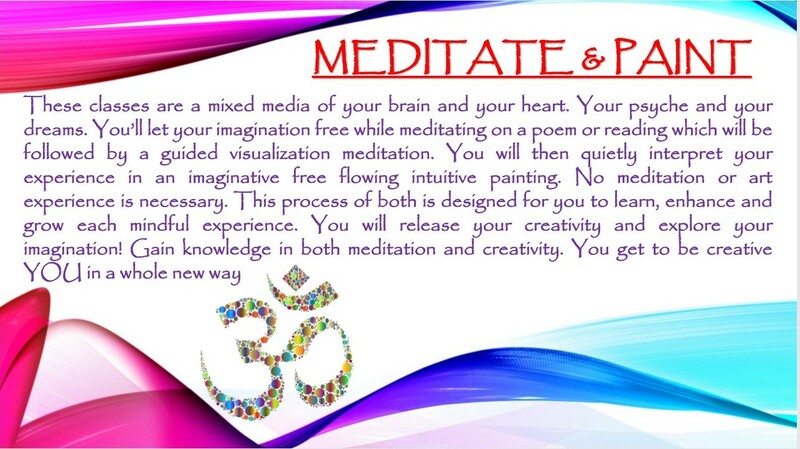 Lead by Jana Costa – Certified Meditation Instructor, Artists and Poet. 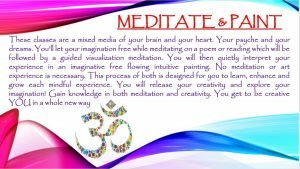 Price – $55 Learn how to meditate and paint in a fun and relaxed environment. 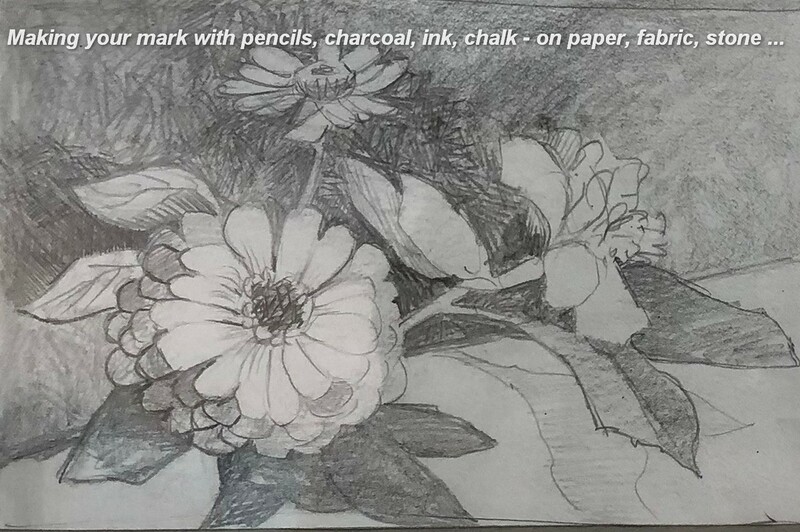 A creative drawing class introduces different ways to express yourself with simple tools: pencil, charcoal and pen on paper. Drawing is the foundation of all art expression. 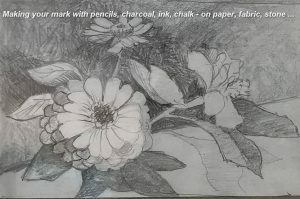 Shapes, lines and texture combine to make a quick sketch or a finished drawing. Get started on a life time of creativity with Patricia Lappin. Includes supplies. 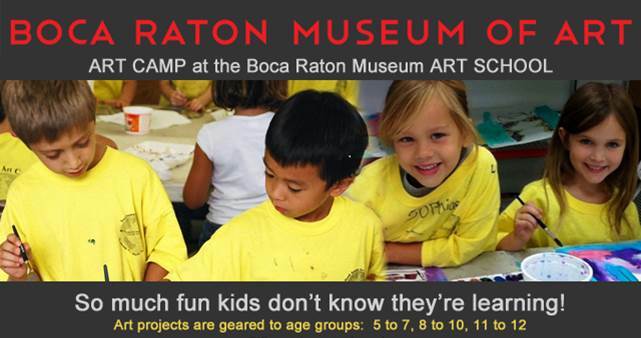 April is a very active month at the Boca Raton Museum School of Art! 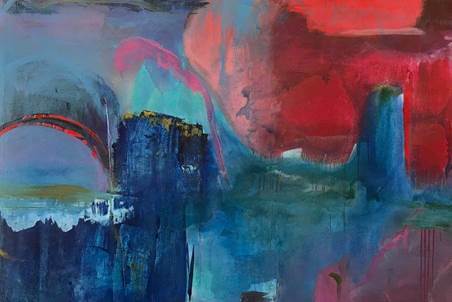 It’s time for Youth Summer Camp sign-ups, the 5 x 5 Student Exhibition, a SOLO Exhibit by Susan Schwarz, and the Opening Reception at the International Plaza Exhibition. 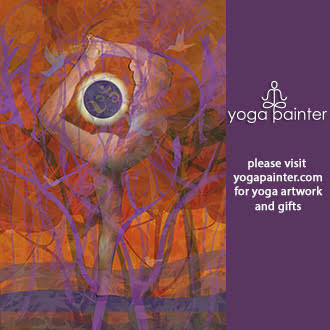 The new Adult Class catalog is ready, too! The Rickie Report shares the details and some sneak peeks. Be inspired, see an exhibit, and take a class! The Boca Raton Museum Art School still a vey busy place during the month of April, even as snowbirds depart. Term 5 (5 weeks) starts on Monday, April 22. 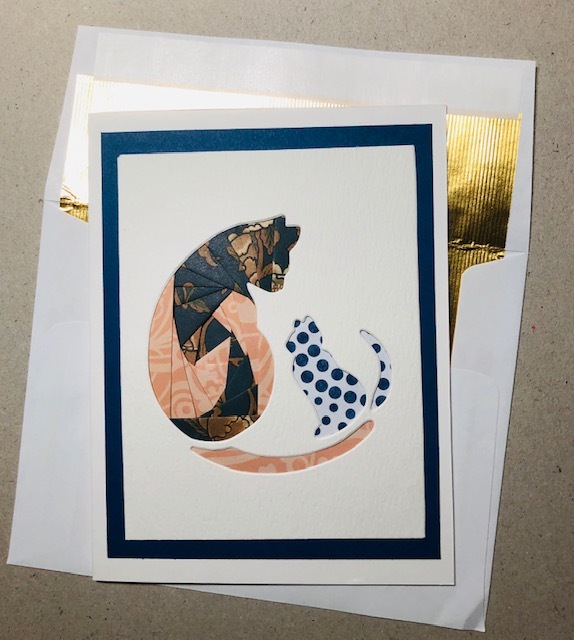 The catalog for Adult Summer 2019 classes will be mailed by the end of March, but you can check out on-line registration. Show your support for the Boca Raton Museum Art School with a lavish Opening Reception with champagne, fabulous hors d’oeuvres, and dessert! Over 60 large paintings and photographs from the students and instructors of the Art School breathe new life into this place of business. Join us and toast your glass to these talented artists. 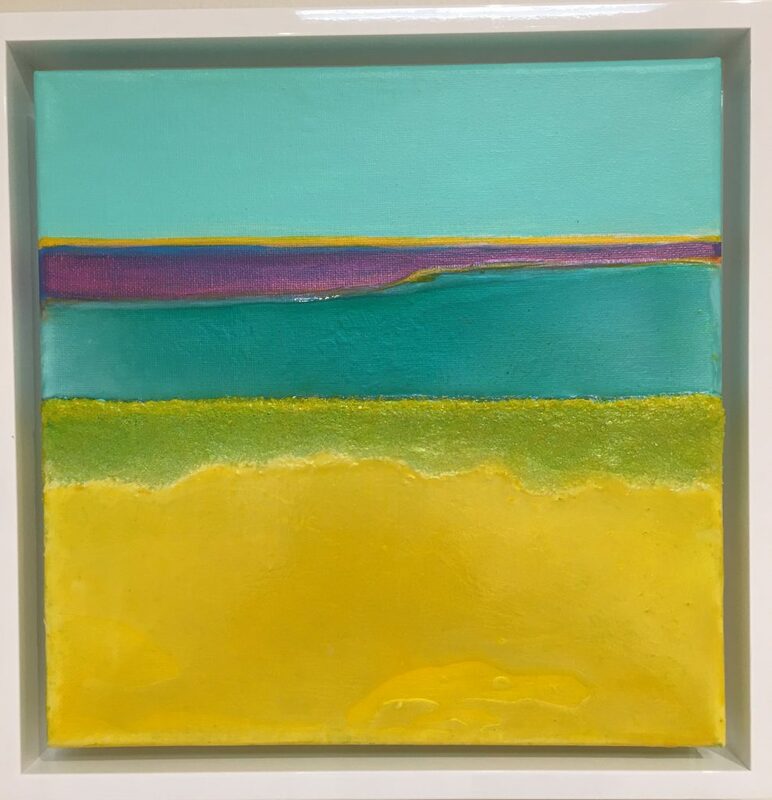 2019 Youth Summer Art Camp Program will be conducted by our Youth & Teen Ceramics instructor Rita Daire, registration for the 10 weeks of Summer Camp are ready online and over the phone, please contact us 561-392-2503. 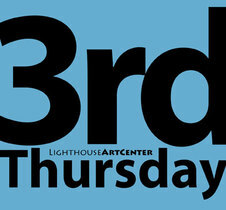 Lighthouse ArtCenter Gallery And School Of Art Present 41st Annual Members Exhibition And Sale. Stop By For One Of The Favorite Exhibits In Season! 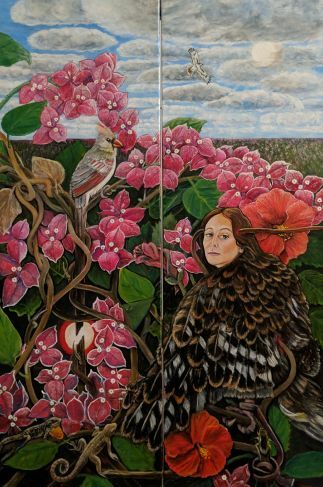 The Lighthouse ArtCenter Gallery and School of Art in Tequesta announces the 41st Annual Members Exhibition and Sale! 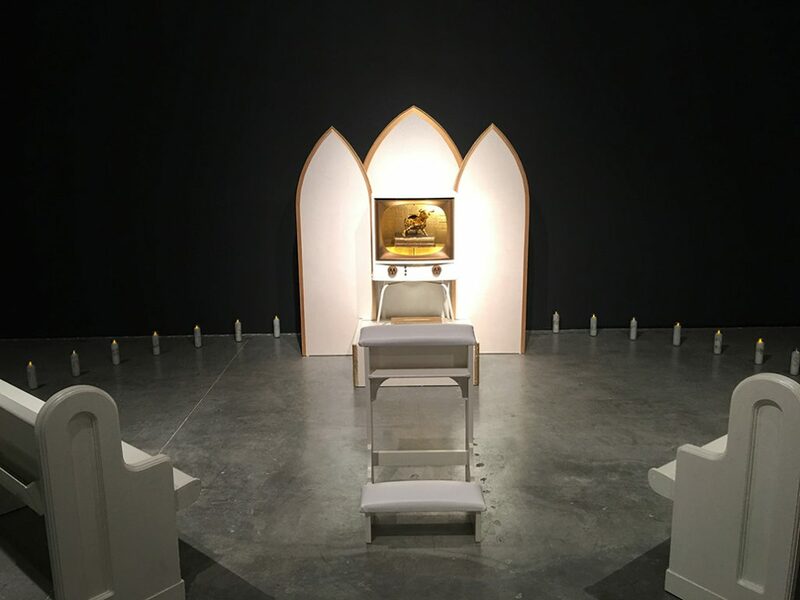 This annual installation is a favorite and runs April 8 – 25, 2019. The Artist Reception and Awards Ceremony takes place at the 3rd Thursday event on April 18. 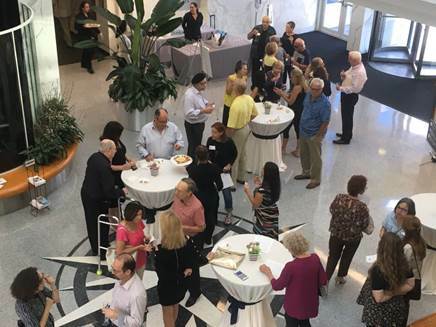 Enjoy passed hors d’oeuvres and beverages at this topical monthly get-together. The Rickie Report shares the details and some photos from 2018’s exhibit. Our creative membership represents every type of media. This much anticipated exhibition provides the cultural venue for our members to share their latest and best work. Over 100 artists, from professionals to students, enjoy this exciting opportunity to share and enjoy new directions and latest trends. “We are very grateful for the support of our members and are delighted to give them this forum to share their work with the public,” said Nancy Politsch, Executive Director. Awards are offered in the following categories: Painting (oils and acrylics); Painting (Watercolors, Pastels, Drawings); Photography (including digital manipulation), Mixed Media; 3D (including Sculpture, Ceramics and Fused Glass); Wearable Art (including textiles and jewelry); as well as the ever popular People’s Choice Award voted on by the public.